Like every Filipino start thinking of Christmas Season at the start of -ber months; Cebuanos and Bisaya Islands (Visayas and Mindanao) starts crafting for Cebu's grandest festival - SINULOG 2012 as early as now! The date of every Sinulog Celebration in Cebu always on hte 3rd Sunday of the month of January. For the nexth Sinulog, it will be on January 15, 2012. But Sinulog 2012 Activities and Events start on December 2011 with Fuente Osmeña Concerts, Mall Exhibits, Sto. Niño Basilica Church Activities and more to check. Plan your trips and book as early as now, maybe some Cebu Pacific Air Website Promos, AirPhil Express Website Promos, Zest Air Low Fares and even Philippine Airlines Promos. It might help. For a list of affordable Hotels, Inns, Pension Houses or Apartelles in Cebu, it will serve as your choices in your stay in Cebu on Sinulog 2012. Quick tip: Plot your desired hotel/Inns/Pension House/Apartelle that not necessarily needs a ride going to the route of the Sinulog Street dances or you could also stay somewhere where Beaches is near like Lapu-Lapu City. Find below Sinulog 2012 Schedule of Activities and Events. 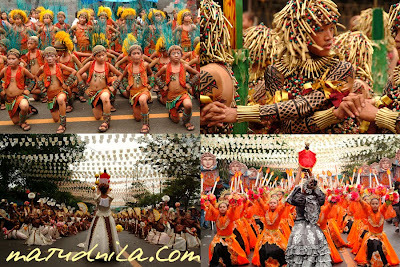 1 comments: on "Sinulog 2012 Schedule of Activities and Events - Cebu's Biggest Festival"